At the Lake Martin Area United Way we strive to make a difference in our community. We have worked hard to partner with and head up programs that will benefit the people in our community. 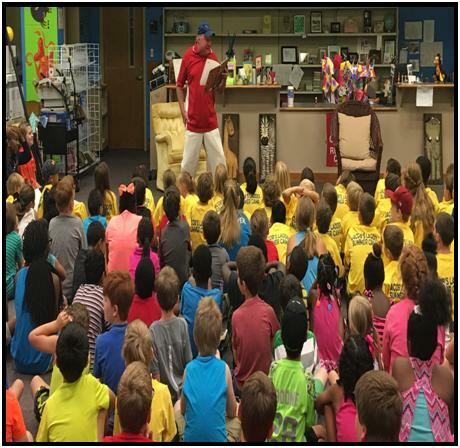 Free Children's Summer Reading Program - In partnership with Pediatric Associates and the Alexander City Board of Education, a free summer reading program is offered to all school-age children in grades 1-5. The program is held every Wednesday in June for 4 consecutive weeks from 9 am to 12 noon. The program is hosted by Stephens Elementary School in Alexander City. Home Depot Veteran's Home Repair Program - In partnership with our local Home Depot, we work to renovate and repair veteran's homes to make them more livable and functional for their needs. Volunteers from Home Depot and other local volunteers work to do what is needed to fix up the homes of those that have bravely served our country. PATH (Prosperity Again Thru Health) - In partnership with other area health care providers and those dedicated to the well-being of all the residents of the Lake Martin Area, we work in collaboration on projects to improve our health, reduce our health care costs and improve the prosperity of our community and our youth with better nutrition, reduced exposure to harmful chemicals, reduced stress and a more active lifestyle. Current projects include a Community Garden, Healthy Recipe Content, PATHFINDERS (a support program for families of patients with dementia), and the Blue Zones Project assessment. EFSP (Emergency Food & Shelter Program) - In partnership with area emergency disaster resources, we work to help provide assistance to those in times of need. This program helps to directly with approved agencies to provide food and shelter.